Summer sales and promotions are at their peak, for the consumer that means more discounts and deals and more summer shopping. But for marketing departments that means one thing is fast approaching… back to school. Back to school promotions are great for shoppers as they look for deals on the things they need and want; for marketers or anyone marketing for a retail location, it’s a goldmine of opportunity to advertise everything from laptops to pencils. 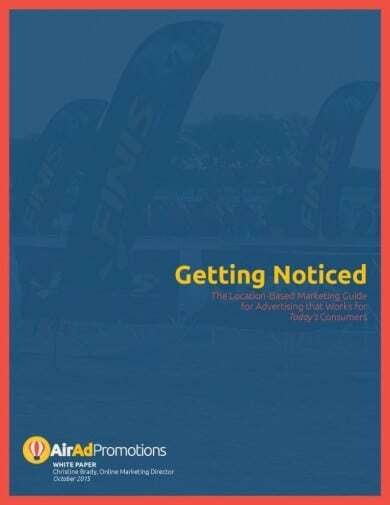 But the opportunity doesn’t stop with retail marketers, even if you don’t work in the retail industry, this time of year presents a host of opportunities for marketing campaigns that tie in with this once a year event. And the list doesn’t end there, here are a few more ideas in action to piggyback on with back to school marketing and promotions. 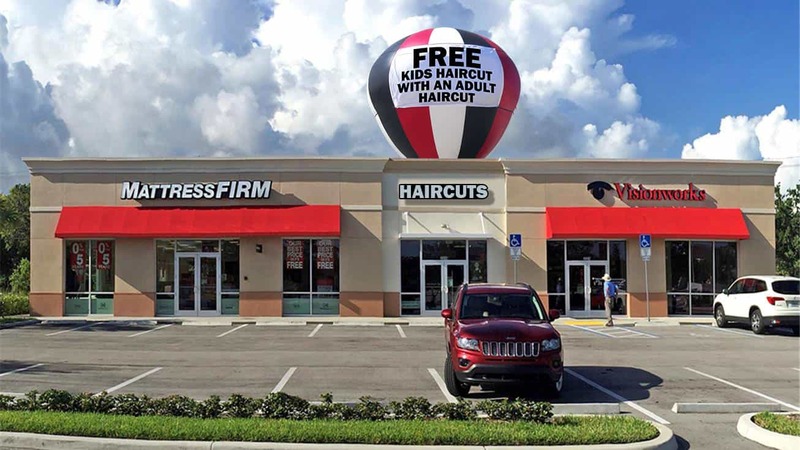 Back to school is a great time for a fresh new haircut, even for parents! And when the word FREE is involved, everyone wants to join in. 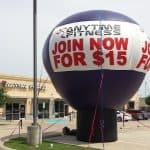 While the balloon alone is enough to boost your visibility, the banner message draws customer inside. 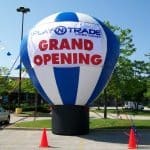 A giant advertising balloon ranges in size from 20’ – 23’ in height and can be customized to match your brand. Find out more about these giant ad balloons here. 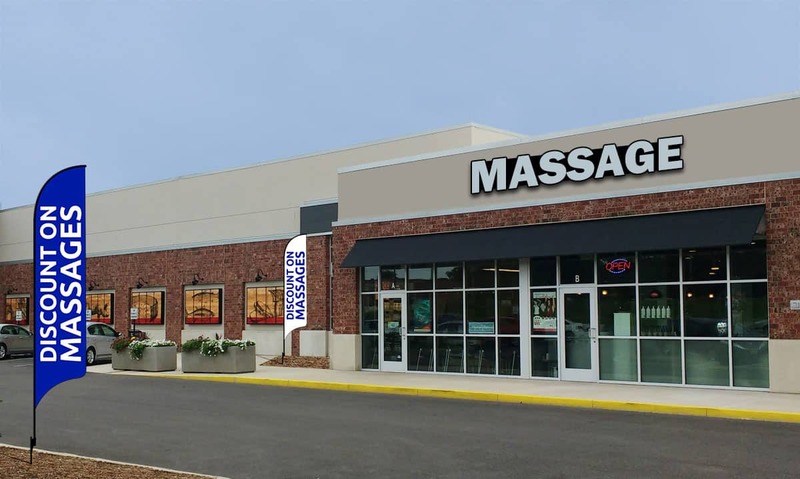 A true tie in with back to school wouldn’t be complete without offering massages. Targeting parents who’ve spent the summer entertaining kids, discounted massages speaks right to them and will catch their attention. Blast this message on a bold, brightly colored Adversail™ flag and watch customers beeline into your location. 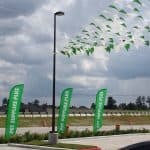 Adversail™ flags range from 10’ – 15’ and feature durable polyester material and a sturdy steel pole that will last, promotion after promotion. Check out more info on Adversail™ flags. 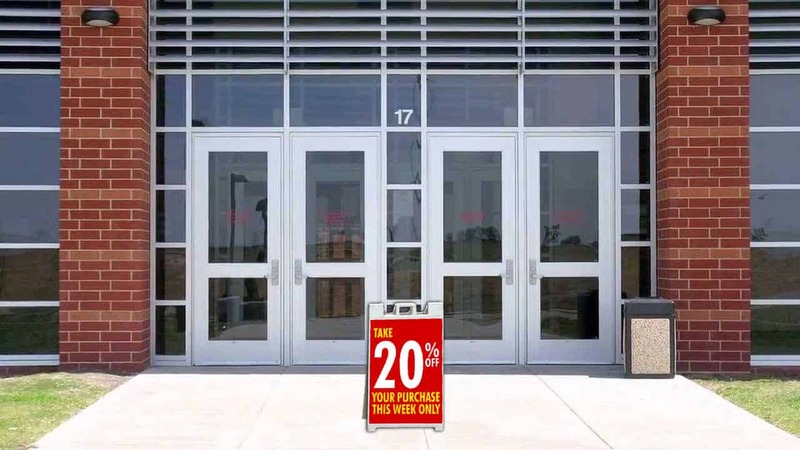 Nothing says Back to School campaign like a 20% off deal. But what if your location isn’t one that would be frequented by back to school shoppers? That’s why you put an offer out that is too good to pass up. Position a sidewalk sign right at your entrance and watch the customers walk in to shop. 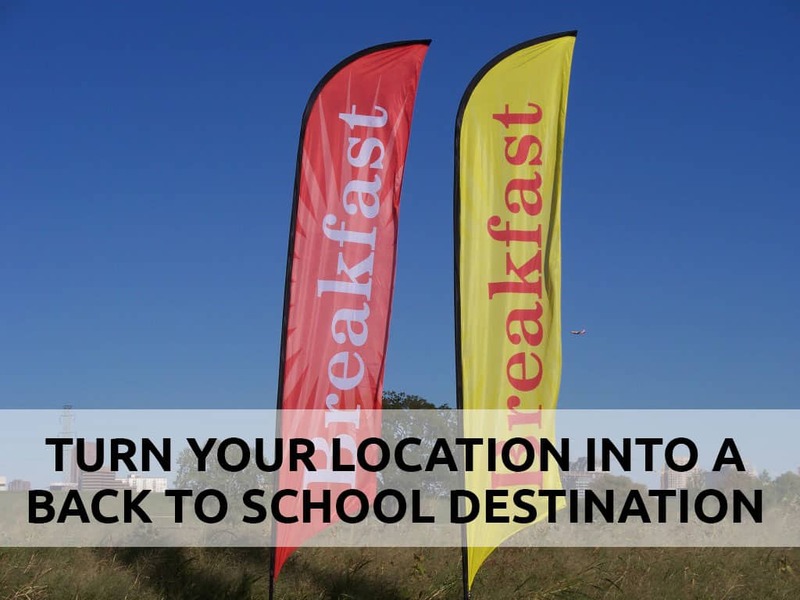 Back to school is a costly time of year, so anytime your business can offer something for free, it’ll be well received. 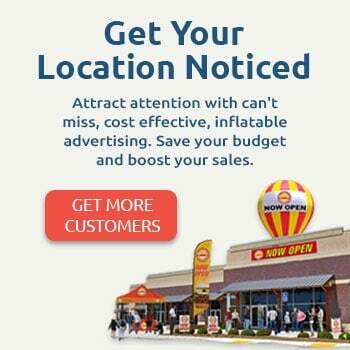 Boost your ROI and get even more traffic by promoting it with an advertising balloon. 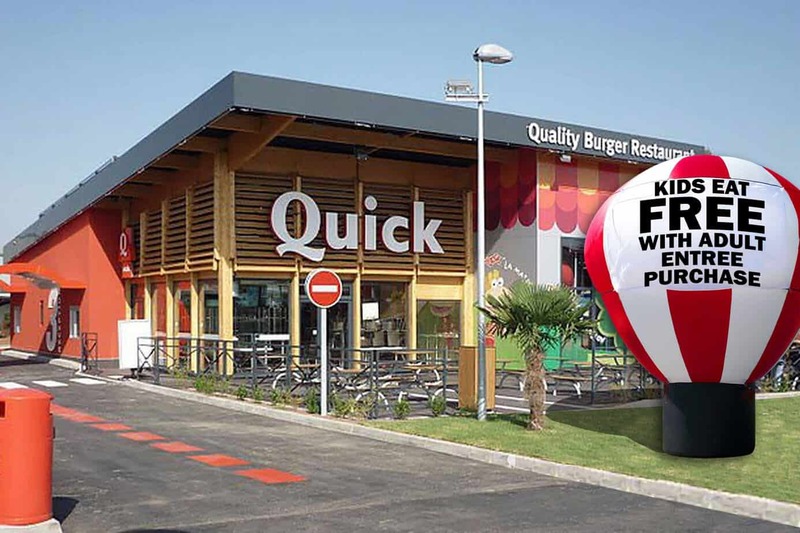 A branded advertising balloon with custom banner attracts all the attention and gets customers to make a right hand turn into your location. Attract their attention with customized flags, sidewalk signs and advertising balloons with an offer that’s too good to pass up! Want to see more ideas? Follow us on Instagram where we share lots of fun marketing and branding ideas!